In this day and age, it’s imperative for websites to be accessible across a variety of devices. For years, mobile traffic volume has been steadily and rapidly increasing until in 2015 it finally overtook that of traditional laptop and desktop computers. In addition, Google recently changed its algorithms to favor mobile-friendly sites. Nicknamed Mobilegeddon, this change has penalized the websites that were not providing an adequate experience for mobile users forcing the website owners to invest into mobile upgrades. While monitoring the websites of the key customers, Dizzain.com found a significant drop in traffic for non-mobile optimized websites, while mobile-enabled websites saw a slight increase in incoming traffic which we attributed to a higher search engine ranking. Non-mobile-optimized sites attempt to cram a traditional website into the small confines of a mobile device, making the content difficult if not impossible to read and navigate. On the other hand, mobile-friendly sites adapt to the screen resolution of the device. Text is large enough to read, images adjust to the screen size, and navigation buttons are accommodating to a touch. It works best for older websites that did not have a major overhaul for 5+ years. Web design and coding standards underwent major changes over the last 5 years and it’s often more efficient to start work from scratch rather than to try retrofitting existing code and design. The new website will benefit from the modern look and feel and accessibility across both traditional and mobile screens. If the original site was built according to W3C standards and there is a clear separation between HTML and CSS code, the website could be converted to support responsive design. In a responsive site, screen elements automatically adjust to the resolution of the device and thus provide an optimal viewing experience. 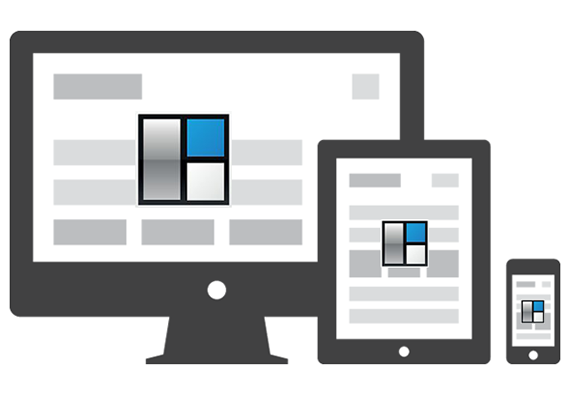 Responsive design option works best for content-rich websites that do not require excessive user interaction. Mobile website can share the same data and CMS (Content Management System) as a desktop website, so both websites are managed from a single place. The standalone mobile website gives the owner a complete freedom over the layout of the elements and the functionality, so the mobile website may look and feel quite different from its desktop counterpart. This approach works best for e-commerce websites where the user interaction is very different between stationary and mobile devices. Providing convenient access to users on the go is essential for a modern website to remain competitive. Let Eurocoders help you find the right strategy for enabling the mobile users.